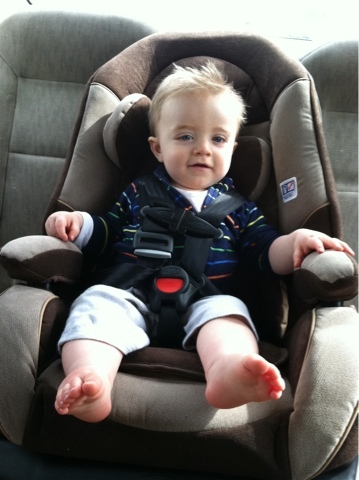 We got Carson his big boy Carseat and the kid loves it! 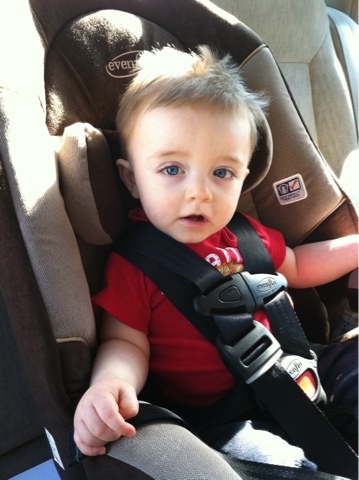 He was so happy to be facing forward and to be able to look out the window. I love it because I can watch him dance to the radio and talk to him. He makes our drives very entertaining. That is always the best when they can be turned around! He is the cutest thing!